Someone asked a question 'Where Do I Buy a Domain Name?' Its possible to get a domain name for your website or blog from credible domain name registration site. Our recommendation for the best site to buy domain name is based on the facts explained below. The above conditions where reviewed and the 3 sites below met the requirements and so we are recommending the site/company below for you to buy a domain name for your site. The 3 sites above provides excellent domain name and you can register your site domain name with them. You can also park the domain for future use and make some profit from it. Godaddy, Namecheap and Hostagator are good site to buy a domain name. Many other domain name registration site will promise cheap domains and never deliver the best but the 3 sites listed above are good and register your domain with them. 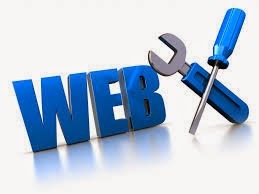 Some also provides webhosting service along with a free domain name. But buying a domain name from a credible company is the best. Thanks for reading.